Wow, we can’t believe a year has passed since we first began our adventure with Where Roses Bloom. Just recently, on January 5th, we celebrated our first birthday of the day when we came together and decided that we were ready to embark on this crazy ride. Where Roses Bloom has already grown into something that we could have never imagined, and we honestly can’t wait to see what the next year holds. We’ve enjoyed reminiscing on all of our fun endeavors that 2012 held for us. Take a look back at some of our favorite moments with Where Roses Bloom’s first year. 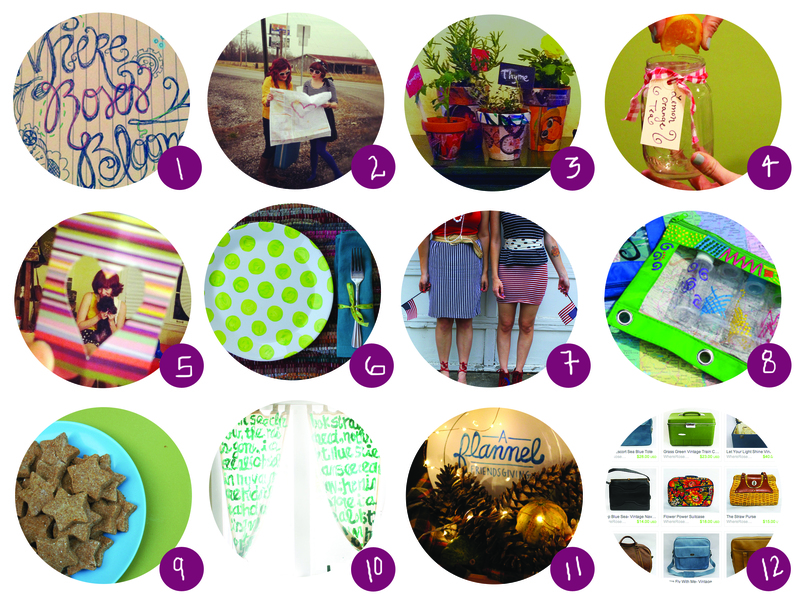 12: December- Our etsy store opens // check it out here! Thanks for being a special part of our first year. We can’t wait to share many more exciting years with you!